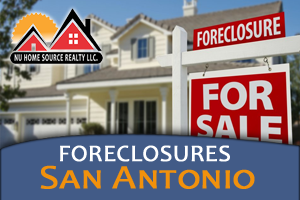 Buying a foreclosed property seems like a good idea, but you have to know the right properties available in San Antonio. From Beacon Hill to Alamo Heights, multiple new properties have been spotted on the market that are in foreclosure or completely owned by a lender. When looking for foreclosures in San Antonio, it's best to start with a real estate agent who knows which properties are the best finds on the market. Some of the distressed properties in the city and surrounding areas may not offer the best closing price, and if you're working alone with banks, it's not always going to be an easy sell. Real estate agents, however, know which properties are brilliant treasures and which ones will require more repairs. In either case, it leads to a lower cost overall for home buyers who want to find the right property for less. In San Antonio, home buyers should first look at lenders in the area that have a list of foreclosed properties. Real estate agents already have a list of viable and beautiful foreclosed properties or short sale residences. Much of these properties will have REO listed in the information, which means real estate owned. This just means that the lender is ready to sell. Once you've met with an agent, it's best to look at a few foreclosed properties then schedule a meeting with the lender. For this area, both homes and condos are listed in the foreclosure database so you'll have to filter by where you want to live and property size, as well as type of house. Much of the foreclosures found in this area are high end, luxury properties that were taken back by the lender in the past few years. There are also some older homes around Monte Vista as well as properties in prestigious areas like Dominion and Alamo Heights. These homes are high quality structures, built with special features and modern conveniences, as well as luxury elements. Many of the properties feature granite counter tops, high ceilings, exquisite archways and well-maintained landscapes. Real estate agents may know which houses and condos will actually hold their worth more than others.